UNDER NEW OWNERSHIP! 2015 Kia Optima EX Priced below KBB Fair Purchase Price! Beige w/Leather Seat Trim, ABS brakes, Compass, Electronic Stability Control, Front dual zone A/C, Heated door mirrors, Illuminated entry, Leather Seat Trim, Low tire pressure warning, Remote keyless entry, Traction control. Clean CARFAX. CARFAX One-Owner. All vehicles went through comprehensive mechanical and electrical inspection and come with a limited warranty. All vehicles are Carfax certified with a Carfax Guarantee Certificate. All titles are clean and guaranteed. Northeast Kia is a proud 5 Star Google Dealer, BBB Accredited A+ Company. UNDER NEW OWNERSHIP! 2016 Nissan Rogue SL Priced below KBB Fair Purchase Price! AWD, ABS brakes, Electronic Stability Control, Emergency communication system, Front dual zone A/C, Heated door mirrors, Heated Front Bucket Seats, Heated front seats, Illuminated entry, Low tire pressure warning, Navigation System, Power Liftgate, Remote keyless entry, Traction control. Clean CARFAX. CARFAX One-Owner. All vehicles went through comprehensive mechanical and electrical inspection and come with a limited warranty. All vehicles are Carfax certified with a Carfax Guarantee Certificate. All titles are clean and guaranteed. Northeast Kia is a proud 5 Star Google Dealer, BBB Accredited A+ Company. UNDER NEW OWNERSHIP! 2016 Chevrolet Traverse LT 1LT Priced below KBB Fair Purchase Price! AWD. CARFAX One-Owner. All vehicles went through comprehensive mechanical and electrical inspection and come with a limited warranty. All vehicles are Carfax certified with a Carfax Guarantee Certificate. All titles are clean and guaranteed. Northeast Kia is a proud 5 Star Google Dealer, BBB Accredited A+ Company. UNDER NEW OWNERSHIP! 2015 Nissan Murano SL Priced below KBB Fair Purchase Price! CVT with Xtronic, AWD, ABS brakes, Compass, Electronic Stability Control, Front dual zone A/C, Heated door mirrors, Heated Front Bucket Seats, Heated front seats, Illuminated entry, Low tire pressure warning, Navigation System, Power Liftgate, Remote keyless entry, Traction control. Clean CARFAX. CARFAX One-Owner. All vehicles went through comprehensive mechanical and electrical inspection and come with a limited warranty. All vehicles are Carfax certified with a Carfax Guarantee Certificate. All titles are clean and guaranteed. Northeast Kia is a proud 5 Star Google Dealer, BBB Accredited A+ Company. UNDER NEW OWNERSHIP! 2014 Jeep Wrangler Unlimited Sport Priced below KBB Fair Purchase Price! ABS brakes, Compass, Electronic Stability Control, Low tire pressure warning, Traction control. All vehicles went through comprehensive mechanical and electrical inspection and come with a limited warranty. All vehicles are Carfax certified with a Carfax Guarantee Certificate. All titles are clean and guaranteed. Northeast Kia is a proud 5 Star Google Dealer, BBB Accredited A+ Company. Jeep Grand Cherokee Limited AWD!! Navigation System!! Sunroof!!! Leather interior with Heated Seats and Steering Wheel!!! Back-Up Camera!! Satellite Radio!! And Much More! UNDER NEW OWNERSHIP! 2016 Cadillac SRX Luxury Priced below KBB Fair Purchase Price! AWD. CARFAX One-Owner. All vehicles went through comprehensive mechanical and electrical inspection and come with a limited warranty. All vehicles are Carfax certified with a Carfax Guarantee Certificate. All titles are clean and guaranteed. Northeast Kia is a proud 5 Star Google Dealer, BBB Accredited A+ Company. UNDER NEW OWNERSHIP! 2016 BMW 4 Series 428i xDrive Gran Coupe Sport Package Priced below KBB Fair Purchase Price! CARFAX One-Owner. All vehicles went through comprehensive mechanical and electrical inspection and come with a limited warranty. All vehicles are Carfax certified with a Carfax Guarantee Certificate. All titles are clean and guaranteed. Northeast Kia is a proud 5 Star Google Dealer, BBB Accredited A+ Company. UNDER NEW OWNERSHIP! 2016 Ford Transit-350 XLT Priced below KBB Fair Purchase Price! ABS brakes, Electronic Stability Control, Exterior Upgrade Package, Illuminated entry, Low tire pressure warning, Remote keyless entry, Traction control. CARFAX One-Owner. All vehicles went through comprehensive mechanical and electrical inspection and come with a limited warranty. All vehicles are Carfax certified with a Carfax Guarantee Certificate. All titles are clean and guaranteed. Northeast Kia is a proud 5 Star Google Dealer, BBB Accredited A+ Company. UNDER NEW OWNERSHIP! 2018 Ram 1500 Express Priced below KBB Fair Purchase Price! ABS brakes, Electronic Stability Control, Heated door mirrors, Low tire pressure warning, Traction control. CARFAX One-Owner. All vehicles went through comprehensive mechanical and electrical inspection and come with a limited warranty. All vehicles are Carfax certified with a Carfax Guarantee Certificate. All titles are clean and guaranteed. 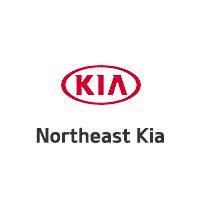 Northeast Kia is a proud 5 Star Google Dealer, BBB Accredited A+ Company.